It says something about our need for escalating challenge that even a zombie apocalypse can be considered tame. 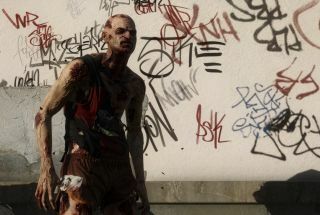 Dying Light's creators have gone so far as to create a new "Hard Mode" update—giving its player-base a chance to experience a sort of Dyinger Light. Hard mode makes the night longer and more dangerous, and makes combat more gruelling and deadly. You can see a full run down via the video above. In addition, the game has been given new outfits and weapons—including a new weapon rarity. A video released as part of the patch teases new upcoming content for Dying Light, including dune buggies, bows and a time trial mode. The patch should be out now in North and South America, and at some time today in the rest of the world.